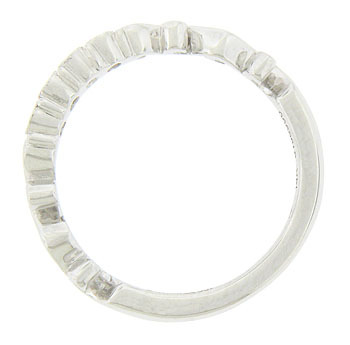 These elegant curved wedding bands are crafted of 14K white gold. 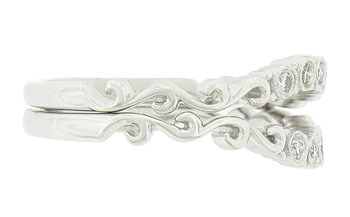 Quartets of bezel set diamonds curl across the central curve of each band. 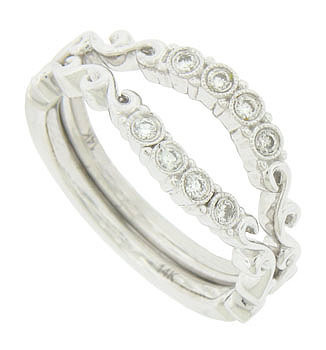 Curling vines of white gold spring from each shoulder and press into the sparkling diamonds. The bands are shown here with R3007 (sold separately). Each band measures 2.41 mm in width. Size 6 1/2. We can re-size or reorder in other sizes. 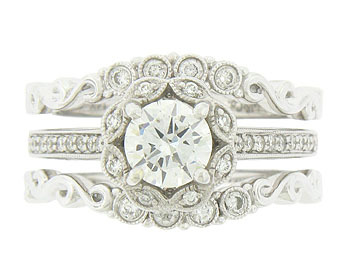 These rings are often sold as a set for $1600, but can be purchased individually.